In 2015 the Foundation distributed 1,828 Bonds Helps clothing in 85 locations throughout Spain, for a total value of 54,840 euros. Community Support Program developed by Humana reverses part of the proceeds from the collection of used clothing and shoes to the municipalities where it is present, collaborating in helping disadvantaged groups; in terms of the Bonds, allow purchase clothing free of charge at any of the 39 stores of the Foundation. This June 23 the Foundation has awarded 100 Bonds Help the area of ? ?Social Welfare and Employment of the City of Seville, for distribution later between users of the department. The overall value of these bonds amounted to 3,000 euros. Humana dealt with the selective collection and subsequent management of the textile used in the Andalusian capital between 2010-2014, under an agreement with Lipasam. Although the agreement has ended, Humana stays true to its commitment to the area of ? ?Social Welfare and Employment and with the residents of Seville, delivering each year Bonds and trying to help give response to the plight by traversing a part of society. "There is growing awareness of the environmental and social benefits associated with the proper management of textile waste. In Andalusia, as in the rest of Spain, our goal is to manage effectively used clothing, extend the life of the garments and give them a social purpose. 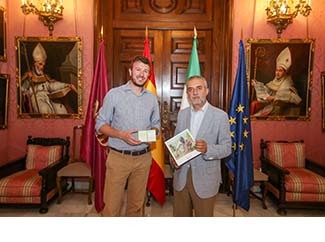 The delivery of these bonds fits perfectly into this desire, "says Andrés Lagares, head of Humana Collection in Andalusia. And it is that all the resources generated by the activity of collection and recovery of clothing in Spain are devoted to the social purpose of the organization: development cooperation and local support. 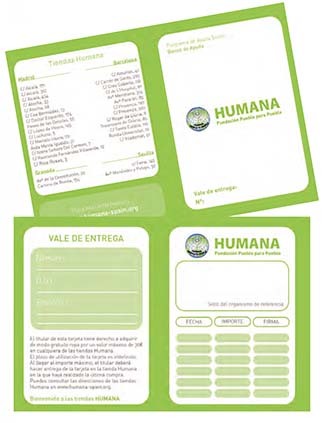 In the case of Seville, Humana also facilitates labor incorporation of people in situation of social vulnerability. This is the case of Antonio Aguilar, 47, who works in the maintenance area for four years, from one of the employment programs of COIS (Guidance Center and Social Intervention) of the City. In addition, Humana is working with the city of Arahal in the management of some organic gardens in the municipality. It is an experience of organic farming that has 80 users and ensures production of proximity and self-consumption. In Andalusia, Humana has 870 containers that last year collected 2,063 tons of used textiles. Sevilla maintains 20 direct jobs, a figure that rises to 64 in Andalusia. Garments deposited in containers Humana in Andalusia have two destinations: one part to the sorting plant Valderrubio (Granada) is sent and the rest is sold to recycling companies. 14% of clothing classified in Valderrubio is sent to both sustainable fashion shops in Seville Foundation (the Marques de Pickman, newly opened) and two in Granada.